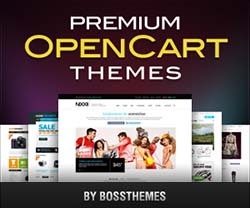 Home Security is a premium OpenCart theme with responsive layout. This theme includes CSS3 media queries which allows you to configure your website layout easily. It also contains fluid proportion-based grids and flexible images to size page elements and pictures in relative units. Selected products are shown in an amazing slideshow on homepage. Blocks and tabs are arranged cleverly and products are outstanding on the classic white background. This theme also includes blue, green, orange and yellow color options.